Normal packaging rates for any application influence both the choice of strap and its joining methods. 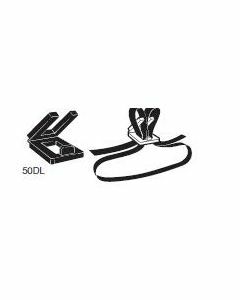 For low-volume, low-tension strapping of lightweight packages or bundles, Signode Steelock™ or Dylock™ buckles are probably the most economical method of joining strap, since they require no special sealing tool. All types of 12mm Signode plastic strapping as well as 16 mm and 19 mm High-Strength Tenax strapping can be sealed with hand tools using metal seals. Signode manufactures snap-on seals for manual sealers and Nestack seals for use in combination strapping tools with seal magazines. To ensure positive joint strength on all four types of plastic strapping, Signode steel seals and special sealers are used to form crimp joints. Crimp joints are formed by compressing the seal onto overlapping straps. The holding power of the joint is generated by squeezing the straps and the seal together. Signode snap-on seals use a grit coating on the inside to increase friction between the strapping and the seals, while Nestack seals use steel teeth. The Tension-Weld® process, developed by Signode, positively joins plastic strapping without the use of seals or applied heat. Please see our Pneumatic Tension-Weld® sealing equipment under "Plastic Tools & Equipment" catagory. Steelock™ & Dylock™ buckles - Signode Steelock™ or Dylock™ buckles are probably the most economical method of joining strap, since they require no special sealing tool. 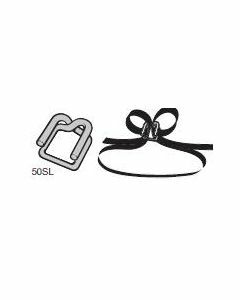 Snap-on seals - Snap-on seals are placed on overlapping strap ends either during or after strap tensioning. These seals generally reduce application time. 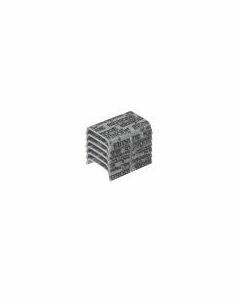 Nestack® seals - Nestack® seals for plastic strapping are stacked seals held together by plastic filaments. Designed for use in seal magazines of combination strapping tools, they are packaged in trays that can be conveniently placed at any strapping station.